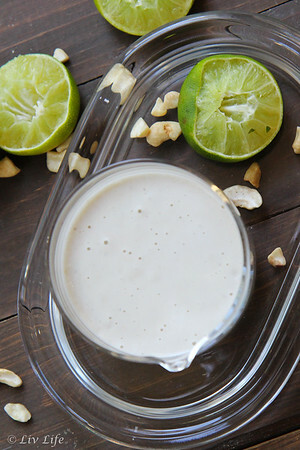 The cream that ties the dish together, this lime version works fabulously with any Mexican dish. The first dairy-free crema we've created that had my son finally smiling. 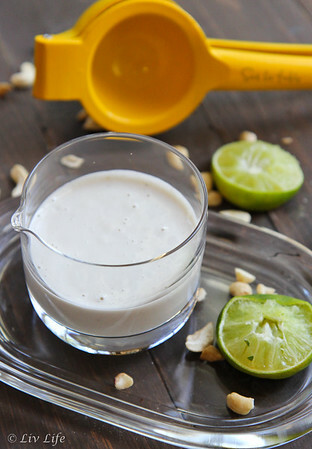 Place cashews, coconut milk and salt into a blender. Process on high until thick and creamy. Add the lime juice and pulse to combine. 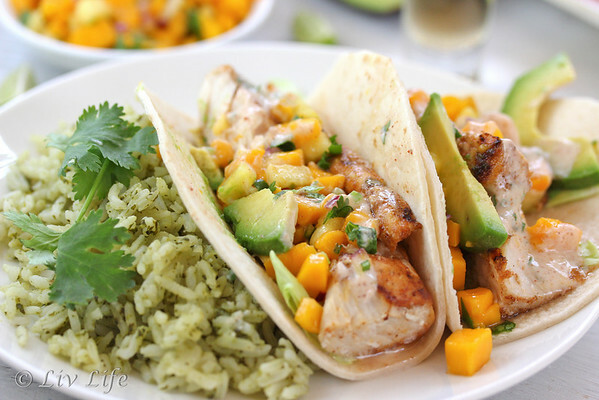 Taste, and add more lime if desired. Add lime zest and pulse once or twice to combine. Thin crema with a tablespoon or two of water if consistency is too thick. Store in the fridge for a couple of days, use on everything! 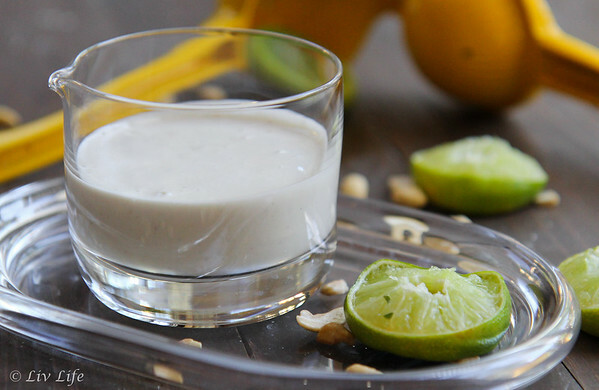 Note, when chilled the crema will thicken, thin with additional lime juice or water to desired consistency. Liv Life Note: We use a high powered blender for very creamy results. If you are not using a regular blender soak your cashews for about 4 hours in water, drain and then blend. Results may not be as creamy in a regular blender as they are in a high powered blender, but still wonderful! Would the recipe suffer if I presoaked the cashews in coconut milk? I haven't tried that, nor have I read it in any recipes. I'm thinking that it would help, but that water will be more absorbed by the cashews making them easier to blend. Just a guess though!! I will give it a go and see what happens! Sounds delicious, whether you're lactose intolerant or not. I can think of lots of things to drizzle this on. Yum! 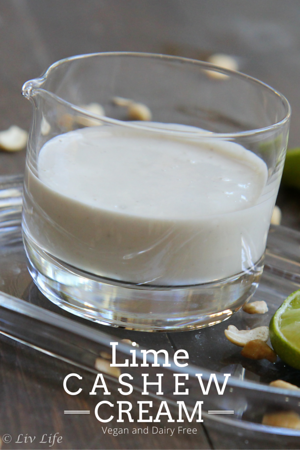 Way better than regular dairy sour cream (IMHO) :) This is a new family favorite! How many cashews? There's no amount list just 1/2 cashews. My family is now dairy free and it has been hard to get used to. I really hate almond milk so I'm excited to use Coconut milk. Thank you!